Puma is set to start a new partnership with another professional footballer plying his trade in the Premier League, i.e. 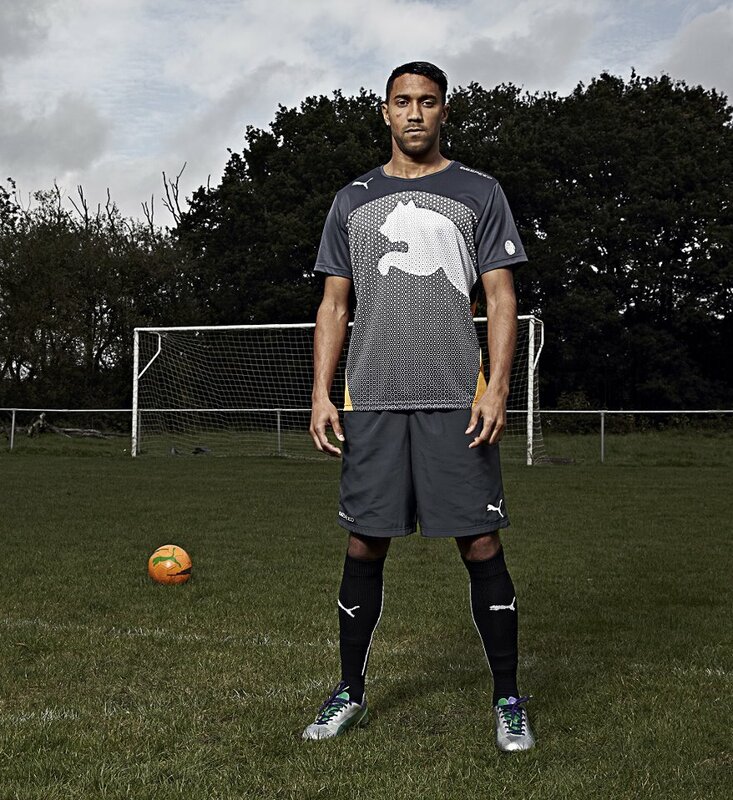 Gaël Clichy, the left back who is now officially part of the German brand’s family. As can be seen in the images below, he is set to follow the likes of teammates Sergio Agüero and Yaya Touré wearing the evoSPEED range of football boots. Formerly an avid endorsee of the British brand Umbro and its Stealth silo, the Frenchman’s electrifying pace and flair make him a perfect match with the Big Cat’s ‘speed’ boots. You can see him for Puma wearing the latest colourway of the evoSPEED in the rather funky addition thereto in a metallic Silver / Green colouration. Set to be made available for sale worldwide in both leather and synthetic, these boots feature a lightweight one-piece outsole that does not compromise stability and support while the revolutionary evoAptoLast secures a top-notch fit.